Click to join our facebook page. The Anti Illuminati NWO Party is committed to improving the lives of every citizen of the World. Through principled advocacy, mass outreach and timely advisories we can effectively empower the common man a new. Our mission is to defend and promote the United States Constitution, its Bill of Rights and the United States way of “life, liberty and the pursuit of happiness” by the way of grassroots educational campaigns and political activity.The Anti New World Order Party singularly does not deny that the N.W.O. globalists control key offices and use their official authority to promote the goals of their brotherhood. Because they control key faculties they are capable of, and in fact do, obstruct justice from the American People. If good governmentisto be restored all the New World OrderGlobalistsmust be expunged: “We must remove the weeds from public office, theyarechocking freedom and the Tree of Liberty” (Daniel Leach).The Anti New World Order Party regards the N.W.O. as an exclusive organization that takes advantage of common folk and violatesthe the United States Republic’s first principles. Wedeem that true United States Americans must organize to defeat these flaming traitors. We the citizens of the Anti New World Order Party resolve to support no N.W.O. globalist for public office. 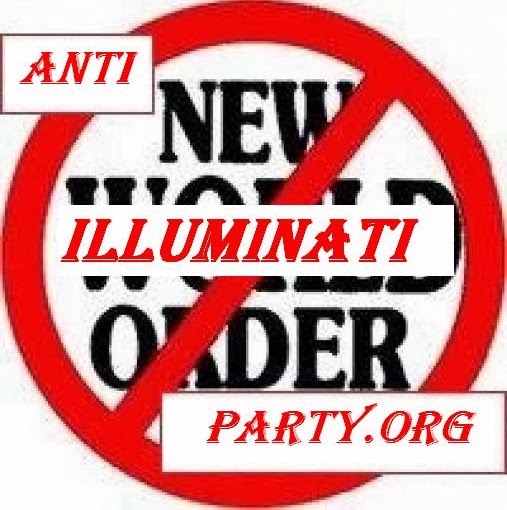 Under the “Anti New Word Order” banner we meanto to unite those whoare discontented due to being disenfranchised and disenchanted with today’s political climate.We of the Anti New World Order Party are dedicated to improving our community by creating an environment of real hope and unity. We shall work tirelessly to till the soil of our communities for a better harvest of life, liberty and happiness. We emphasize the importance of working together as a party to find and implement solutions. We shall operate lawfully and respectfully in all matters at all times. We shall not profit from our endeavors. We believe in liberty and justice for all. We shall not waiver in the conviction to create a better community for all citizens. Mission: is to defend and promote the United States Constitution, its Bill of Rights and the United States way of “life, liberty and the pursuit of happiness” by the way of grassroots educational campaigns and political activity.The Anti New World Order Party singularly does not deny that the N.W.O. globalists control key offices and use their official authority to promote the goals of their brotherhood. Because they control key faculties they are capable of, and in fact do, obstruct justice from the American People. If good governmentisto be restored all the New World OrderGlobalistsmust be expunged: “We must remove the weeds from public office, theyarechocking freedom and the Tree of Liberty” (Daniel Leach).The Anti New World Order Party regards the N.W.O. as an exclusive organization that takes advantage of common folk and violatesthe the United States Republic’s first principles. Wedeem that true United States Americans must organize to defeat these flaming traitors. We the citizens of the Anti New World Order Party resolve to support no N.W.O. globalist for public office. Under the “Anti New Word Order” banner we meanto to unite those whoare discontented due to being disenfranchised and disenchanted with today’s political climate.We of the Anti New World Order Party are dedicated to improving our community by creating an environment of real hope and unity. We shall work tirelessly to till the soil of our communities for a better harvest of life, liberty and happiness. We emphasize the importance of working together as a party to find and implement solutions. We shall operate lawfully and respectfully in all matters at all times. We shall not profit from our endeavors. We believe in liberty and justice for all. We shall not waiver in the conviction to create a better community for all citizens.